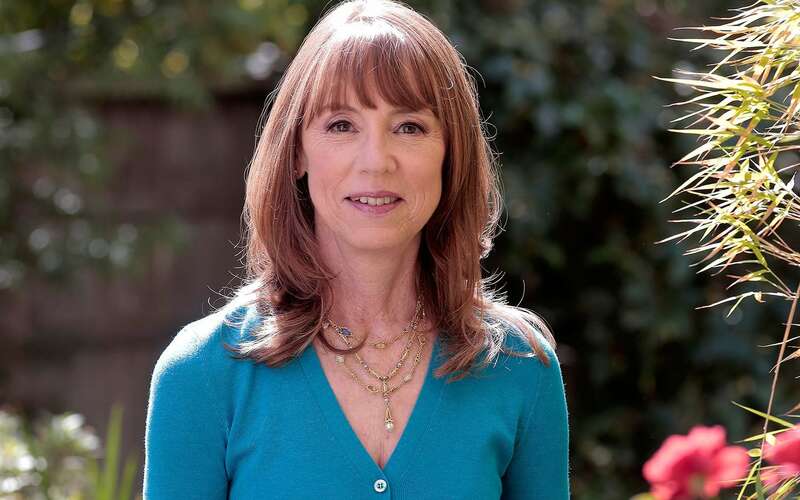 In her beloved New York Timesbestsellers Snow Flower and the Secret Fan, The Tea Girl of Hummingbird Lane, Peony in Love,Shanghai Girls,Dreams of Joy, and China Dolls, Lisa See has brilliantly illuminated the strong bonds between women. These books have been celebrated for their authentic, deeply researched, lyrical stories about Chinese characters and cultures. Now, in The Island of Sea Women, Ms. See writes about about the free-diving women of South Korea’s Jeju Island. Booklistcalled The Island of Sea Women“stupendous… enthralling…and engrossing.” Jodi Picoult has given her praise: “Lisa See excels at mining the intersection of family, friendship and history, and in her newest novel, she reaches new depths exploring the matrifocal haenyeo society in Korea, caught between tradition and modernization. This novel spans wars and generations, but at its heart is a beautifully rendered story of two women whose individual choices become inextricably tangled.” Independent booksellers honored the novel by selecting it as an Indie Next pick, while Barnes & Noble chose the novel for its nationwide March 2019 Book Club. Ms. See has always been intrigued by stories that have been lost, forgotten, or deliberately covered up, whether in the past or happening right now in the world today. For Snow Flower,she traveled to a remote area of China—where she was told she was only the second foreigner ever to visit—to research the secret writing invented, used, and kept a secret by women for over a thousand years. Amy Tan called the novel “achingly beautiful, a marvel of imagination.” Others agreed, and foreign-language rights for Snow Flower were sold to 39 countries. The novel also became a New York Timesbestseller, a Booksense Number One Pick, has won numerous awards domestically and internationally, and was made into a feature film produced by Fox Searchlight. Ms. See was born in Paris but grew up in Los Angeles. She lived with her mother but spent a lot of time with her father’s family in Chinatown. Her first book, On Gold Mountain: The One Hundred Year Odyssey of My Chinese-American Family(1995), was a national bestseller and a New York TimesNotable Book. The book traces the journey of Lisa’s great-grandfather, Fong See, who overcame obstacles at every step to become the 100-year-old godfather of Los Angeles’s Chinatown and the patriarch of a sprawling family. While collecting the details for On Gold Mountain, she developed the idea for her first novel, Flower Net (1997), which was a national bestseller, a New York TimesNotable Book, and on the Los Angeles TimesBest Books List for 1997. Flower Netwas also nominated for an Edgar award for best first novel. This was followed by two more mystery-thrillers, The Interior (2000) and Dragon Bones (2003), which once again featured the characters of Liu Hulan and David Stark. This series inspired critics to compare Ms. See to Upton Sinclair, Dashiell Hammett, and Sir Arthur Conan Doyle. Ms. See has led an active and varied career. She was the Publishers WeeklyWest Coast Correspondent for thirteen years. As a freelance journalist, her articles have appeared in Vogue, Self, and More, as well as in numerous book reviews around the country. She wrote the libretto for Los Angeles Opera based on On Gold Mountain, which premiered in June 2000 at the Japan American Theatre. She also served as guest curator for an exhibit on the Chinese-American experience at the Autry Museum of Western Heritage, which then traveled to the Smithsonian Institution in Washington, D.C., in 2001. Ms. See then helped develop and curate the Family Discovery Gallery at the Autry Museum, an interactive space for children and their families that focused on Lisa’s bi-racial, bi-cultural family as seen through the eyes of her father as a seven-year-old boy living in 1930s Los Angeles. She has designed a walking tour of Los Angeles Chinatown and wrote the companion guidebook for Angels Walk L.A. to celebrate the opening of the MTA’s Chinatown metro station. She also curated the inaugural exhibition—a retrospective of artist Tyrus Wong—for the grand opening of the Chinese American Museum in Los Angeles. Ms. See was honored as National Woman of the Year by the Organization of Chinese American Women in 2001, was the recipient of the Chinese American Museum’s History Makers Award in 2003, and received the Golden Spike Award from the Chinese Historical Society of Southern California in 2017.She sits on the boards of Los Angeles Opera, National Historic Preservation Trust, and The Music Center. She is a member of The Trusteeship, an organization comprised of preeminent women of achievement and influence in diverse fields.